Avengers: Infinity War is going to be an important film for many reasons, chief amongst them being that it signals the end of an era. 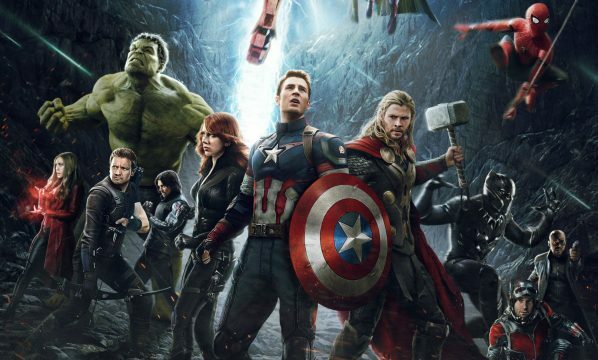 It’s no secret that Marvel has been slowly building to a new roster for Earth’s Mightiest Heroes, one that will see the likes of Iron Man, Cap, Thor and the rest of the gang make room for fresher faces like Doctor Strange, Black Panther, Captain Marvel, Ant-Man and more. Doesn’t get much clearer than that, right? Though Feige doesn’t explicitly state that heroes will fall, it’s not hard to read between the lines here. We’ve no doubt that several characters will bite the bullet in the film and fans should be prepared to wave goodbye to some of their favorites. Admittedly, seeing Marvel kill off someone like Iron Man or even Cap would be pretty shocking (though there is precedence for the latter in the comics), but some of the supporting characters could definitely be at their end. For one, Vision has long been rumored to die, and probably will, and it also wouldn’t be too crazy to think that either Hawkeye or Black Widow may go, too. Regardless of who does and doesn’t make it out of Avengers: Infinity War alive, it’s probably safe to say that the Marvel Cinematic Universe is going to be a vastly different place by the time the credits roll. This is a hugely significant outing for the franchise and with so many different characters and plotlines all converging, it’s sure to be an absolutely explosive movie, one that’s sounding better and better by the day. Avengers: Infinity War storms into theatres on May 4th, 2018. Tell us, who do you think will end up dying by the end of the film? Sound off in the comments section below and give us your thoughts!